This year is going to be a particularly difficult for flea and tick season. Experts predict that the unusual weather we’ve experienced so far will create an extended season rife with parasitic problems. If you’re wondering when fleas are most active in your area of the country, the Weather Channel has created a neat little program that will help you plan. Just type in your zip code to find the times your area will be most active. DERMagic has created the first Flea Bar which is a handy bar-type of shampoo that is formulated with Diatomaceous Earth. This all-natural shampoo is made in the Pacific Northwest and is incredibly effective at eliminating fleas and ticks, while providing future protection against infestation. DERMagic also offers Flea Dust that can be easily kept on hand and sprinkled directly onto pets to both repel and kill any fleas. (Save 10% off your order by typing in code: PETSWEEKLY upon checkout). Combing through your pets fur each day is a great way to identify a problem before you have one. Spring’s essential tool will be the flea comb and Miracle Coat has a great one that includes a fine-toothed comb to remove flea residue and eggs, while the other side captures ticks. At only $1.49, you can hardly afford to be without such a tool. Grooming is very important at this time of year. Mats can provide a perfect nesting area for pests and you want to avoid them. Since elderly animals have a tough time grooming themselves, you’ll want to make sure you brush and bathe them regularly. It’s critical that you remove ticks properly. The head must be removed along with the body, which is trickier than you may think. While some people use heat or alcohol to force a tick to back out from the skin, we don’t recommend those methods. Heat has the potential to burn you or your pet, and using petroleum jelly or other sources relies on waiting for the tick to detach. Your goal is to remove the tick as quickly as possible. Our favorite method of tick removal is to use Tick-SR . Simply apply the liquid, then wipe the tick away with a tissue (you can also order their easy-to-use wipes so all you need to do is wipe on, wipe off). Remember that Ticks-SR does not kill the tick, it merely dissolves the “glue” holding the tick on. Be sure to destroy the tick after removal. Once you have removed the tick, it’s a really good idea to see if your pet has been exposed to anything. The new Marshall Tick Releaser Spray and Mail-In Test Kit This is one test kit that we love as it tests for several different diseases that a tick may be carrying. 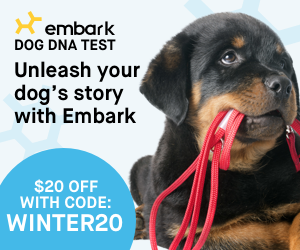 It’s not only a great idea for you, but for your pet. If natural remedies don’t work for you, and you’re faced with alternative methods of flea and tick control, you will want to make absolutely sure that the products are as safe as possible. Some of the products that we have found safe include Frontline Flea and Tick spray. This is the only “non-natural” product that we have used on heavily infested kittens and puppies. If you find yourself treating a young animal, be sure you seek out the advice of a veterinarian first. When treating the youngsters (puppies and kittens), we make sure that we never spray directly on the animal – instead, spray onto a towel and then lightly place loosely on the kitten or puppy for a few seconds. Young animals are highly sensitive to flea and tick sprays, collars, and other means of pest control. Be very cautious about treating them and always work with less harsh methods first. When working with adult dogs and cats, we are very excited to tell you about a brand new collar that helps prevent fleas and ticks for up to 8 months ! The collar is called Seresto and it’s manufactured by Bayer. We really like the technology that’s gone into developing this product. The unique polymer matrix provides a dose of two proven active ingredients: imidacloprid and acaricide flumethrin. Since you only have to replace it once every 8 months, you won’t have to worry about accidental overdose or forgetting to change out the collar. It can be worn by both dogs and cats (but be sure you get the collar specifically designed for your pet!) and it works by moving the dosage through the lipid layer of skin. Other control methods include topical applications and in this case, we recommend the proven methods of K9 Advantix II for dogs (or Advantage II for cats); and Merial Frontline Plus for Cats or for Dogs . Both of these afford relatively safe, topical control repels and kills fleas, ticks, lice, and mosquitoes for nearly 4 to 6 months – which helps eliminate a number of diseases. Others methods of flea and tick control focuses on internal care. While there are several natural methods of control (most of which include garlic which “Could Be” very difficult for pets to tolerate, we hesitate to get into them. Always check with your veterinarian on safe natural methods of control or, if necessary, on other methods of control. Remember, not everything is toxic to every pet. Some animals have lower and higher tolerances. What works for one pet could easily injure another pet. Research everything, utilize solid common sense, and never take one person’s word on any topic. As always, keep a close eye on your pet for any reaction (whether you select a natural or manufactured solution) – particularly during the first few days. If you dog or cat shows any sign of distress, hair loss, excessive drooling, or other symptoms that are unusual, immediately discontinue use and take your pet to the veterinarian THAT day. Some animals just don’t do well with any type of flea or tick medication, so watch them carefully and never use more than one form of protection at a time.